Air conditioners are one of the more important purchases one can make. In a best case weather scenario they turn an uncomfortable day into a refreshing one. And in a worse case weather scenario they can literally save people’s lives. Knowing one can depend on an air conditioner largely depends on the brand. In this article we’ll go over the best air conditioner brands. This will demonstrate how one can get a great air conditioner by going with great brands. The best air conditioner brands are those which meet criteria one cares about. LG ranks a bit lower for some of the more common metrics which most people value. They’re located in Korea, which can make support rather difficult. And they haven’t been around for very long in comparison to some of the other companies. LG has connections to Goldstar. But they were only solidified as a separate entity in 1995. This makes them a fairly young company. However, they do quite well when it comes to price. Their price range goes as low as around $150. And their BTU ranges gos from around 5,000 to 14,000. This makes them a good match for people who primarily want to get a good deal and don’t need further support. Whirlpool is a respectable air conditioner brand. It dates back to 1911 so it has an impressive longevity. On top of that, over 106 years of service has always come from within the United States. This makes it easy to get additional support if needed. And one can assume that they’ll be around for some time to come. Their range goes from around $300 to $600. And these provide BTU ratings from around 8,000 to 24,000. It’s usually a good value. But they drop down in rankings a little due to over diversification in product line. A company heavily focused on air conditioners can provide the best overall support and development. However, Whirlpool has a very diverse line of products. Some might feel that this makes them a less the perfect match for the highest spots on a best of list. They’re obviously quite good. But Whirlpool seldom provides really cutting edge air conditioner units. Haier ranks a little lower on the list due to location. The fact that they’re located in China reduces their overall ability to offer support. One can certainly still expect basic service if a unit incurs damage. However, this is usually far more limited than one might expect from local companies. But at the same time, they have some advantages in manufacturing costs. Those advantages translate to fairly good prices on higher performance items. For example, their BTU range goes from around 5,000 to 24,000. The prices are fairly impressive though. They’re able to sell fairly powerful units at only $100 to $500. Kenmore’s higher ranking comes from overall notability. If anyone hears the name Kenmore they’re usually going to recognize the company. Part of this comes from longevity. They’ve been around since 1913. In that time they’ve been able to maintain a highly positive reputation. Additionally, they’re located within the US. This makes any kind of support fairly easy for customers. They also have a fairly good return on value. Their BTU range is around 5,000 to 24,000. And the overall price range for that value is quite impressive as well. It’s only $100 to $700. Recognition factors in when one considers the best air conditioner brands. GE certainly has brand recognition among the public. But they’re also usually recognized as the market leader in windowed air conditioners. They don’t offer the best value on the list. In general their BTU range goes from 5,000 to 25,000. And their prices go from $150 to $300. While not the absolute best value, it’s still quite respectable. And the fact that it’s from such a well known brand pushes it even higher on this list. The best air conditioner brands need to be around in the future. This provides an automatic bonus for Friedrich. They’ve been around all the way back to 1883. That suggests that one can depend on them in the future as well. However, they rank a little lower on the list due to some overall specialization. Their least expensive models tend to sit in the mid-range. With a BTU rating of around 5,000 to 24,000. And their cheapest prices tend to hover in the $200 range. However, many of their units sell for over $1,000. The upper range sells for around $1,200. All of these factors make them a company one can depend on. However, in general they’re most useful for people willing to make a fairly significant investment. The best air conditioner brands are those which hit as many important metrics as possible. Frigidaire meets a number of these important points. Among the first is longevity. Frigidaire’s history dates all the way back to 1918. As such, it’s safe to assume that they’ll be around for some time to come. They also have a respectable BTU range. It goes from about 5,000 to 28,000 BTU. Their high ranking comes from combining these with the final trait. The longevity and high performance comes at a surprisingly low price. Their models sell from around $100 to $800. The next step involves choosing between the best of the best. Any of these brands offer solid options. But one needs to consider the best match for particular lifestyles and homes. For example, choices of brand might depend on whether one wants a large or small unit. The best air conditioner brands should serve as a perfect guide. It’s a matter of considering one’s needs and acting on them. Though talking over personal experiences with the brands can also help. Your furnace utilizes various components that work together to provide cozy warmth throughout your home during the colder months. Therefore, when one or more of the furnace’s components are faulty, it can result in the furnace blowing cold air. If your furnace continuously runs or the unit only blows out cool air sometimes, it could simply be that your thermostat is on the wrong setting. Turn the thermostat setting to AUTO. When the fan setting is set to ON, it causes the furnace to blow out air even though the furnace is not producing heat. This can result in the furnace blowing cold air. However, if you set the thermostat to AUTO, it will only blow out warm air. A faulty pilot light, including a pilot light that doesn’t come on or a pilot light that doesn’t stay on, can also cause your furnace to blow out cool air. First, relight the pilot light and see if if remains on. If not, check the gas flow to the furnace to ensure it is receiving fuel. Next, check that the furnace’s gas valve switch is on and that gas is flowing into the furnace. If the pilot light is dirty, it can also obstruct fuel from flowing through the furnace. Consequently, if the pilot light is dirty, clean it to restore proper gas flow. Grime build-up on the burner can also cause the pilot light to have problems lighting, so have your burner cleaned to see if it helps. A faulty gas valve can also cause your pilot light not to stay lit. If it has been a while since your furnace has been cleaned, it can accumulate dirt and debris, which can cause your valve to stick and prevent your pilot light from coming on. Issues with the thermocouple, which is a sensor that manages the ignition as well as the gas valve, can also cause your pilot light not to stay lit. So if you have a faulty thermocouple, be sure to adjust or replace it to restore heat to your furnace. Newer furnaces utilize an electronic ignition, which can cause problems if it is not adjusted properly. Inspect the electronic ignition, and then have it adjusted or replaced if needed to restore proper function. A dirty filter obstructs airflow over the unit’s heat exchanger. This causes the furnace to run longer until eventually, it runs hot. When the furnace gets too hot, it trips the high-temperature limit switch. This forces the burners to shut off, so the heat exchanger doesn’t get damaged. However, the blower continues to blow to keep the furnace at a safe level, which can result in the furnace blowing cold air. If you notice that the furnace blows out warm air and then cool air, or it stops blowing out air altogether after a while, it could be that a dirty filter is causing the furnace to overheat. Shut off power to the furnace, and then inspect the filter. If the filter is dirty, then clean it or replace it, and then reset the system. If your furnace is a newer high-efficiency model, and you notice water flooding around the unit, it could be due to a blocked condensate line. When the condensate line is blocked, typically by dirt, dust, mold, or ice, it causes water to back up into the unit. This causes the furnace switch to shut off to prevent water damage. A broken condensate pump can also cause the condensate line to overflow. To unclog the condensate line, first shut off the power to your HVAC system. Locate the drip pan on the interior air handler unit. Use towels or a wet dry vac to remove moisture from the pan. Wash away any contamination from the drip pan with soap. Use the wet-dry vac to clear the block from the drain line. If the vacuum does not clear the clog, try running a pliable rubber tube through the line to clear the clog. You also need to clean the drain line at the entry point. Remove the PVC cover, and use hot water with a mild soap to clean out the drain. You can also use distilled vinegar to clean out the drain. Allow the soapy water or vinegar to sit for about a half hour. Afterward, rinse the line with fresh water, ensuring water flushes through the entire line freely. If the condensate line is clogged by ice, try covering the line with pipe insulation and heat tape to prevent the contents from freezing. Cracks, holes, and gaps in the ducts allow cold air from the attic or crawlspace to enter into the ducts, which can make it feel like your furnace is blowing out cool air. Dirt and debris accumulated on the inside of the ducts can also hinder airflow. Inspect the ducts in the attic or crawlspace and around the unit for cracks, leaks, and gaps in the ductwork. Afterward, have a professional technician repair any openings if needed. A furnace blowing cold air can be caused by various issues with your furnace’s components, many of which you can address yourself. However, for more serious issues with your furnace blowing cold air, contact a technician who is highly knowledgeable and skilled in the inspection and repair of a furnace blowing cold air to prevent damaging your system. Having your air conditioning fail or not working properly in the middle of the sweltering summer can really make your home uncomfortable. Therefore, it is recommended that you keep an air conditioning preventive maintenance checklist to help you stay on top of repairs and keep your system running smoothly and efficiently and avoid unexpected breakdowns, which can be especially harmful to allergy sufferers, those with respiratory conditions, and more. To comprise an air conditioning preventive maintenance checklist is simple and only requires the following 3-step process. An air conditioning preventive maintenance checklist enables you to note the condition of your system as well as schedule routine maintenance on major components in order to keep your system running as it should, which helps save time and costs on emergency repairs. Turn the A/C Unit on, and Perform a General Observation of Your System. Observe that the system starts up promptly and responds to the thermostat’s temperature adjustments. You should also inspect that the thermostat is functioning properly and is maintaining the proper temperature. Listen for unusual sounds and smells, and check that the vent is working properly. Lastly, turn the unit off and make sure it shuts off properly.In other words, observe that the system functions according to the manufacturer’s specifications. Replace or Clean the Air Filters. To keep your A/C running efficiently, it must have a clean filter. Therefore, you should clean the air filter periodically. Also, change your filter at least every 90 days in order to maintain proper airflow. Inspect the Control Box, Connections, and Wiring. Loose or disconnected electrical connections can cause your A/C unit not to come on. Therefore, inspect all of your electrical connections and wiring as well as the control box. Tighten electrical connections as needed to keep your A/C up and running. Observe the Condensation Drain, the A/C Drain Line, and the Evaporator Coil. The condensation drain and the A/C drain line enable moisture to empty from your system. However, if they are blocked, it allows moisture to build up in your system, which can damage the A/C. Therefore, periodically inspect the condensation drain as well as the drain line to ensure they are dirt-free, and there is no moisture accumulation. You should also inspect that the evaporator coil, which is the part of the system where the refrigerant absorbs heat, is free of dirt because it can affect how much the refrigerant can be absorbed. Inspect the Blower and the Blower Housing for Debris. Dirt and other contaminants can accumulate on your A’C’s blower, which can hinder its operation. Therefore, you need to clean the blower periodically to ensure your system functions properly. Inspect the Fan Belt and Lubricate the Moving Parts. The A/C system includes various moving parts, including the fan belt, which require smooth movement in order to function properly. Therefore, be sure to lubricate any moving parts. Change the fan belt when needed to keep your system running smoothly. Observe the Duct-Work for Leaks. Duct leaks in anywhere in your system can hinder efficient airflow. Therefore, inspect for duct leaks in and around your system, and have any leaks properly repaired in order to maintain sufficient airflow. Clean Dirt, Leaves, and Debris from Inside and Around the Unit. Leaves, pollen, twigs, grass clippings, and other debris during the warmer seasons can fall on top of, on the sides of, and inside of the outdoor A/C unit, which can hinder its function. Therefore, be sure to keep your outdoor unit clear of debris in order to help maintain proper function. Observe the Fan Blades, the Fan Motor, the Coils, and the Wiring. Clogged coils outside can force your A/C to work hard, which can require more power to operate your system. However, keeping your coils clean can keep your system running at peak efficiency. Meanwhile, worn or loose fan blades and wiring can create a fire hazard, especially if the fan blades are positioned near wires. Loose belts on the fan motor can cause the motor to overheat, which can also be hazardous. Therefore, be sure the fan blades, the fan motor belts, and the wiring are tight in order to avoid potential dangers. Observe the Unit for the Proper Refrigerant Level. Maintaining the proper refrigerant levels not only helps keep your air cool, but it also helps protect the environment. Spilled or leaking refrigerant can cause chemical effects. These can be hazardous to your health as well as to the environment, and it can even damage your system. Observe the Tubing and the Compressor for Damage. The compressor stores refrigerant, which is responsible for interchanging hot and cold air between the inside and the outside. If the compressor tubing leaks refrigerant, then it affects the cooling efficiency of your unit, which can increase the cost to cool your home. Therefore, inspect the tubing for leaks to keep your system cooling efficiently. An air conditioning preventive maintenance checklist helps save time and money by allowing you to stay up on your system’s operation and repairs. Once you have created your air conditioning preventive maintenance checklist, simply perform the repairs you can yourself and keep a running record of repairs for your technician. You should perform routine maintenance on your system at least once a year to help ensure proper maintenance in time for the summer. Wouldn’t it be great to share your air conditioning preventive maintenance tips with friends just in time for the summer? Be sure to share your experience with this air conditioning preventive maintenance checklist to help others as well. A heat pump increases energy efficiency in your home by collecting outside heat and bringing it inside during the colder months and eliminating heat from inside during the warmer months. 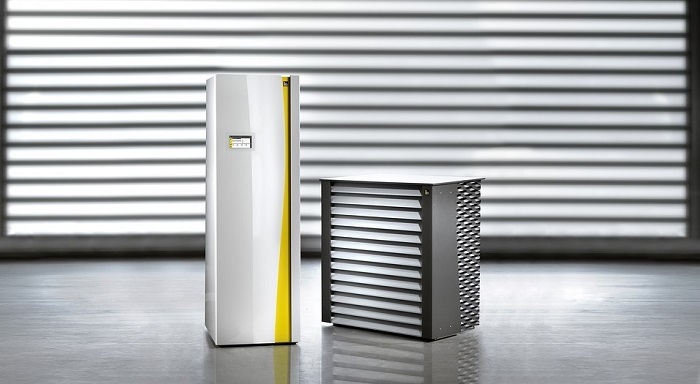 The heat pump is part of a two-part compression refrigeration system. 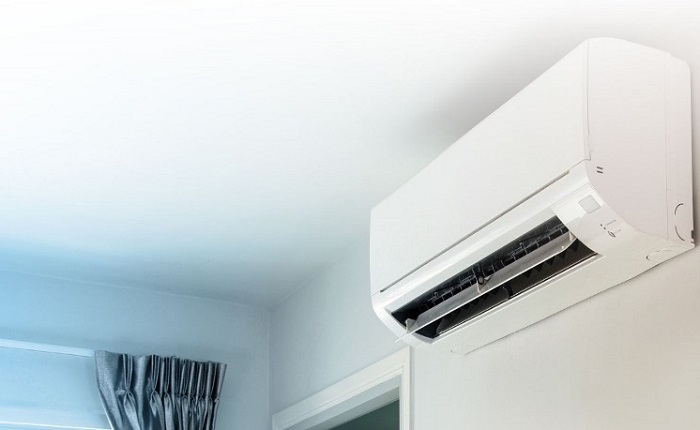 It consists of an air handler, which is installed indoors, and an outdoor unit, or the heat pump, which looks similar to a central air conditioner. When the heat pump is on the fritz, there are generally three common issues. This short guide on heat pump troubleshooting will help you troubleshoot these problems. If the heat pump fails to come on, it could be a sign of an electrical problem. Sometimes a tripped circuit breaker can prevent the heat pump from powering-up, even if the circuit breakers associated with the heat pump do not look tripped, it may still need to be reset in order to power the heat pump. Corroded or worn wires in and around the air handler and the heat pump can also cause the unit to fail to come on. Sometimes oil, grease, or refrigerant can leak onto the wires and other parts, which can hinder the heat pump’s operation. Sometimes the toggle located inside the control panel of the furnace or the light switch located on the side of the unit has been accidentally shut off. This can also cause the heat pump not to come on. Heat pumps, though pretty efficient, may have difficulties in frigid weather, when temperatures reach negatives. If you find that your home is chillier than the thermostat settings, it could be due to a faulty thermostat, low refrigerant, leaky ducts, dirty unit, or a faulty valve. Since the heat pump is located outside, it is subject to heavy moisture and frigid conditions, such as wind, snow, and ice. These elements can hinder the defrost cycle, which is a default mechanism built into the heat pump that thaws the snow and ice off the heat pump. 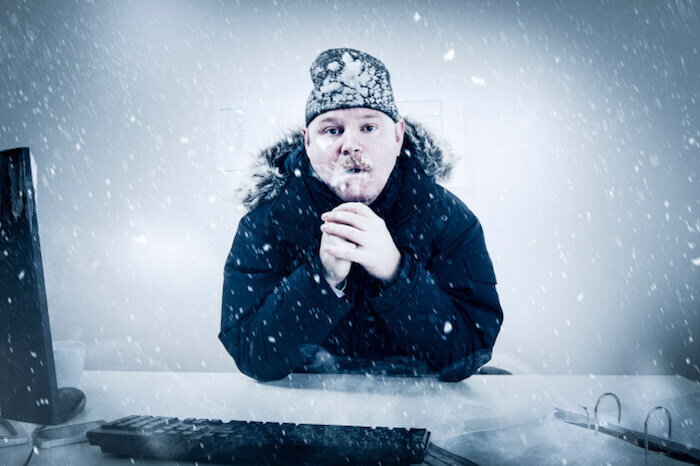 Ice build-up can also be caused by an outdoor fan problem, low refrigerant, or an outdoor unit that is blocked. You can create a barrier around the unit to protect it from extreme weather conditions, and regularly clear off any snow and ice during winter storms to help eliminate ice build up. You will need a cordless drill or a 10-in-1 or 5-in-1 screwdriver for removing screws from both the handler’s casing as well as the heat pump’s casing in order to access their components for inspecting. If using a cordless drill, be sure to invest in a Phillips screwdriver 1/4 inch bit and a 5/16 bit. Also, using magnetic tips help make your job easier. If you are skilled at measuring voltage, a basic digital multimeter can be used to check the voltage on the heat pump equipment. The first step to troubleshoot your heat pump is to ensure that the thermostat is set to the right temperature setting. Make sure it is set to the heat mode. You could also try testing the thermostat’s operations when the unit isn’t running to see if the air handler cycles on. If the system has a low battery, swap it with a new one. If these methods do not work, you could have a faulty thermostat. Be sure the main circuit is on. If the circuit is off, flip the switch to reset it. You should also remove the unit’s service panel using a screwdriver or a cordless drill. This is to be sure the switch located on the inside of the unit, that resembles a light switch, is positioned up. The pump may also have a power switch on the inside panel. Remove the panel using a screwdriver or a cordless drill, and inspect that the switch is flipped on. You should also inspect for damaged wires, which can also cause power issues. When replacing the panel, be sure it is secure. A loose panel can also cause the unit not to power up. Remove the panel from the outdoor unit using a screwdriver or a cordless drill. Afterward, inspect the coils for ice build-up and the wires for damage. However, do not use sharp objects to chip ice build-up from the coils. This can cause serious damage as well as personal harm. Instead, use warm water to melt the ice and snow. A dirty filter or blocked vents can cause your system to short cycle or transport insufficient air supplies throughout the house. Make sure the filter is clean and the vents are not blocked. Heat pumps are sensitive systems with intricate parts, which require skills in order to avoid damaging the system. Furthermore, working around electricity always involves the risk of shock or an electrical fire. Be sure to shut off the power at the breaker box as well as the exterior shut-off box near the unit when heat pump troubleshooting. Heat pump troubleshooting also involves exposure to refrigerant gas and other gases. If exposed to for too long or breathed in, they can cause allergic reactions and other side effects in some individuals. These heat pump troubleshooting steps can be done on your own to help determine your heat pump problem. If after trying these heat pump troubleshooting steps, it still doesn’t address your issue, then it may be time to contact an HVAC repair person. Have you already tried these steps and saved time and money on your heat pump troubleshooting? Feel free to share your comments below.